If you have holiday money burning a hole in your wallet and are looking for some new Friends sets to buy, then LEGO Shop@Home is the place to be. They have put all of the new January 2014 wave of Friends for sale for immediate purchase and delivery. 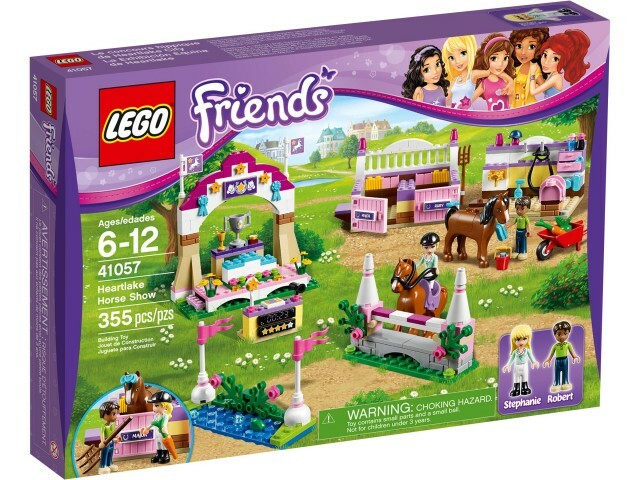 In addition to the few sets we’ve revealed here before, there are a two new ones that we are just now seeing: 41056 Heartlake News Van and 41057 Heartlake Horse Show. This entry was posted in Lucky Finds and tagged 41026 Sunshine Harvest, 41027 Mia's Lemonade Stand, 41028 Emma's Lifeguard Post, 41029 Stephanie's New Born Lamb, 41035 Heartlake Juice Bar, 41037 Stephanie's Beach House, 41039 Sunshine Ranch, 41056 Heartlake News Van, 41057 Heartlake Horse Show by memphis. Bookmark the permalink. Horse Show looks nice. I think it will be popular.